Summer vacation will be ending soon (but wait, didn't it just start??) and alas, it is time to start thinking about getting organized for back to school time. This may sound silly, but one thing that causes me the most stress is figuring out how to keep backpacks off the floor! Because we all know that is where kids love to drop them, am I right? I have yet to figure out a space for a command center in our home. We have an open floor plan style home. Very very open. 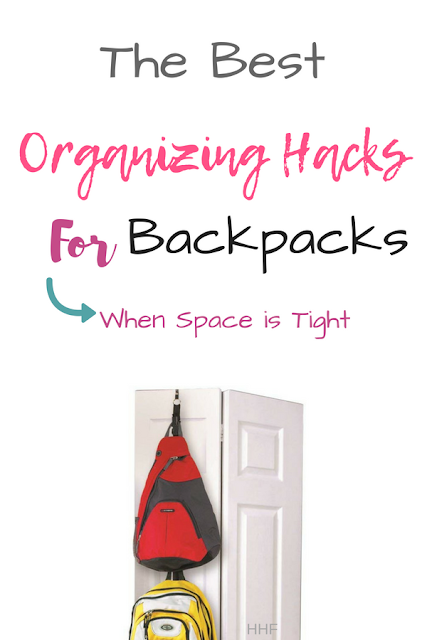 It is hard to use a small wall even for backpack storage because even that can make our home look cluttered. But like always, Pinterest has come to my rescue yet again with several cool ideas for hanging backpacks and organization hacks for small spaces that just might work for us, so maybe these ideas will help other families get a bit more organized too! 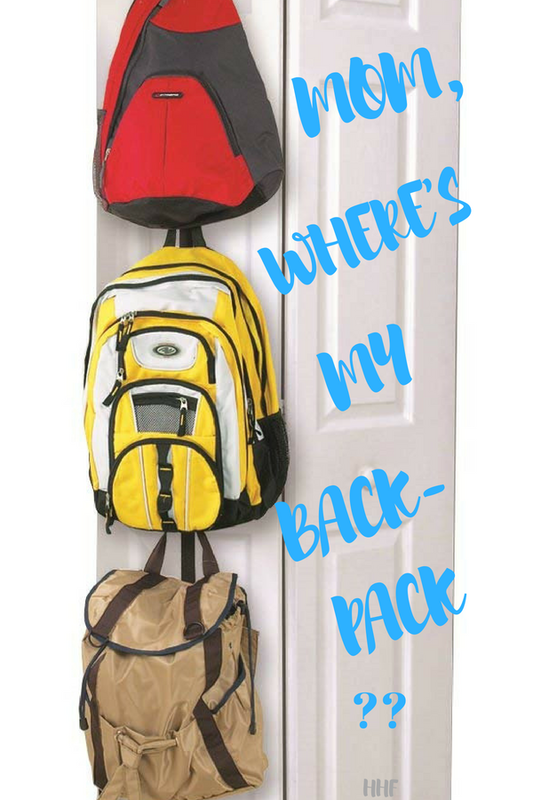 This is one of my favorite ideas for hanging backpacks and keeping them out of site. 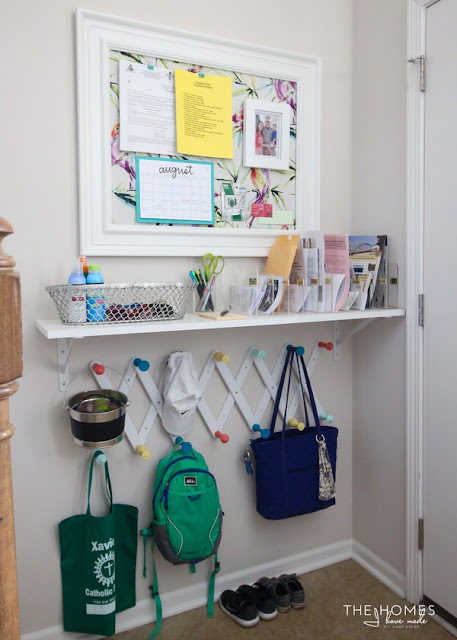 This closet space could become an awesome back to school command center! But of course, there is the small matter of giving up a coat closet. 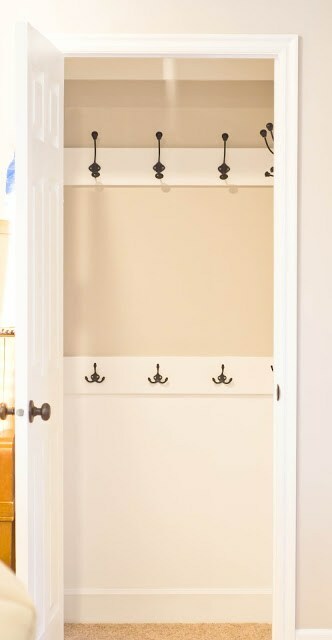 If you have a closet to spare, check out the How-To for this project at The Pragmatic Parent. 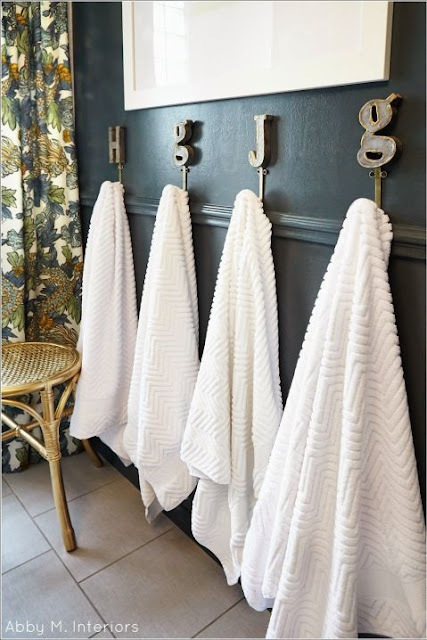 Yes, those are towels, not backpacks, hanging on hooks. But I think this could be an awesome backpack station idea as well. The hooks have personalized tin letters placed above them, so everyone knows just where to put their school bags. I really like this idea from House Beautiful. Each hook holds up to 35 lbs. per the product description, so I think these could work as backpack hooks. I absolutely LOVE this simple DIY backpack station. 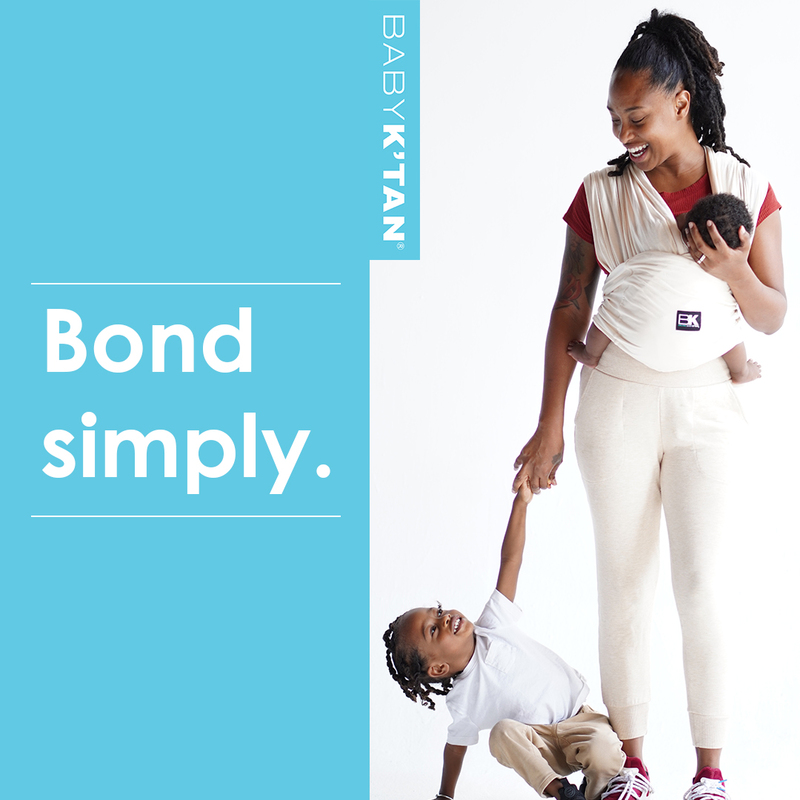 Backpacks and hooks on a small wall will help keep kids from dropping them on the floor. Something like this could work in small entryways I think. If you love this look, get the tutorial at Buns in a Row. Megan at Homes I Have Made, designed this cute front door backpack drop station area in her home. In all honesty, this would probably be too much for my small entryway, but I do love her choice for a backpack storage rack. And that fabric covered bulletin board. Awesomeness. Seriously, it looks so much better than a regular old cork board! Good Luck With Your Back to School Organizing! !